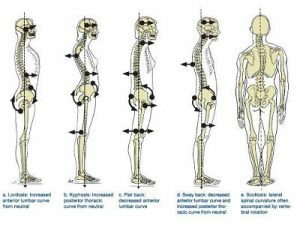 Have you seen your posture reflection in the mirror lately? Do you have memories of your mom saying, “Chin up, shoulders back, stand straight!”? As we age, gravity has a detrimental effect on our posture. We all naturally shrink, as the intervertebral discs become less elastic, osteoporosis takes hold, or our bodies give into the pull of gravity causing slumping or leaning/rotating to one side of the body. Poor habits such as a sedentary lifestyle, incorrect standing or sitting postures, and even one-sided sports–such as tennis or golf–can exacerbate pre-existing muscle imbalances. One side of our body gets strong while the other side weakens. Proprioceptive is the ability to sense our body regarding position, motion and equilibrium. Even if a person is blindfolded, he or she knows through proprioception if their arm is above their head or hanging by the side of their body, or if one leg is firmly planted in front of the other on the floor, or your head is hanging low instead of level with your shoulders if doing an exercise that requires you to bend forward from your hips. Proprioception is disturbed in many ways as we age, and many are born without this sense. However, there are various ways to develop and hone proprioceptive through improved awareness and practice. For instance, practicing eyes opened and closed during certain movement and exercise helps create better proprioception for correct body alignment. Cues from someone “in the know” can teach visual applications for core strengthening and stretches which will be featured in our Exercise Snack Video later this month. What are your challenges to standing, sitting or moving in better alignment? Can you also improve your breathing and energy? Reduce your negative long-term habits. We can help! For more tips and fun ways to feel more vibrant, reduce the pain associated with arthritis or injury, increase your balance, contact us. You can also share this blog and our Exercise Snack Videos, follow us on Facebook, check out our website at www.lorimichielfitness for other important fitness information, email us or simply call us at 818-620-1442 for a consultation.